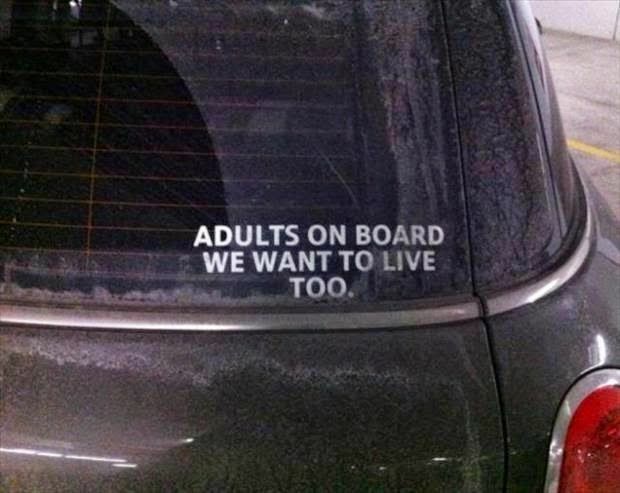 Car stickers tend to say a lot about the driver and their overall lifestyle. Some stickers describe the driver perfectly, while others are just plain crazy and hilarious. 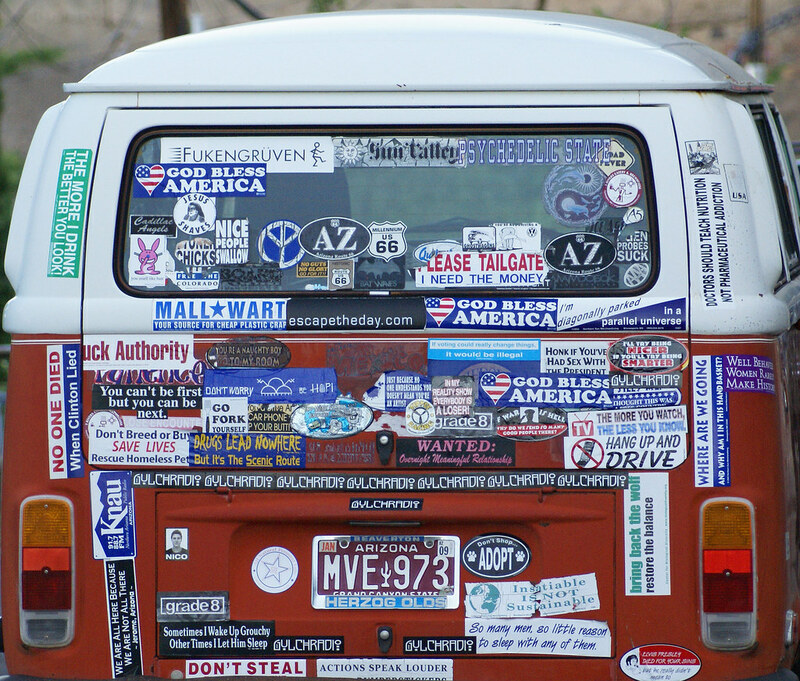 We’ve put together the ultimate list of car stickers that’ll surely make you laugh, so read on! Hate when people ask about what happened to your car or why that sticker? Well, this one here is a good idea. Why not let the sticker explain it all? At least once a day, you will see a car with a family sticker and yes we do get the point, but sometimes it can get a little bit annoying, right? Cause adults have a life, too! 5. That’s a good question! That’s certainly one mystery to consider. One thing’s for sure–it won’t be a pretty sight! 4. Would you want to find out? 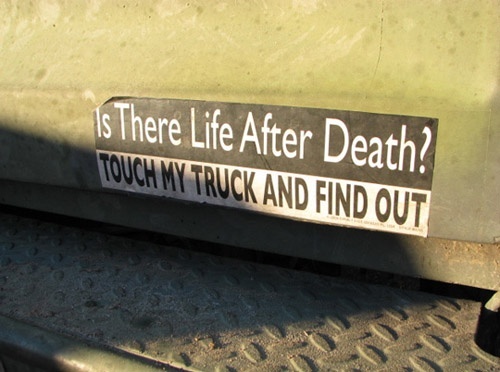 No matter what happens–just stay away from this person’s truck. 3. This one’s a classic! 2. Sometimes you have to state the obvious. 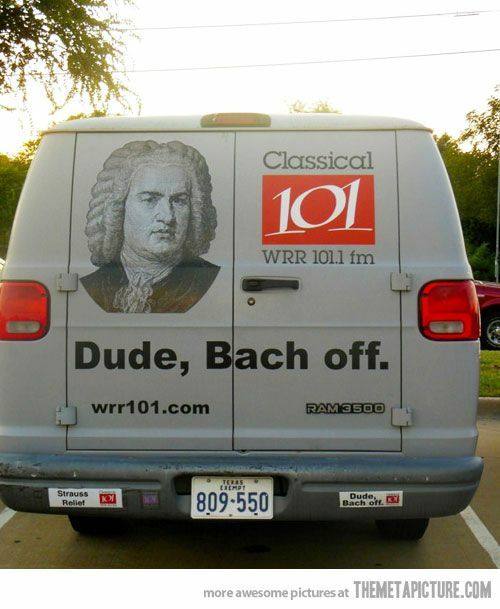 Here is another cool idea for your ride! This sticker’s perfect for Jeeps and other off-road vehicles who are in great risk of overturning while on a steep climb. 1. Yes, tell us how you really feel! And if one sticker is not enough, then why not go absolutely crazy with a gazillion? If there’s no local law that prohibits putting multiple stickers on your vehicle, we suggest you go and have some fun like the owner of the ride above. Of course, looking absolutely creepy is a risk.